Taylor Swift is an American singer-songwriter; who made her debut in the music industry in 2006 and is still going strong with her long list of popular and chart-buster songs. She has proved her worth by securing her place in one of the most successful singers of all time by giving back to back record-breaking albums and solos. Being paparazzi’s favorite star, she always stays in limelight; not only because of her immense success but also because of her beautiful looks, interesting personal life, and complicated relationships. In 2019, Taylor Swift’s net worth is estimated to be $400 million; which secured her the top position in Forbes’s list of top-earning women in music, and has put her on our list of the richest singers worldwide. Taylor Swift was born on the 13th December 1989, in Reading, Pennsylvania. She’s one of the few persons who listen to their life’s early calling and is destined to act on it. Her father, Scott Kingsley Swift, was a financial advisor, and her mother, Andrea Gardner Swift used to be a marketing executive before turning housewife later on. Since an early age of 9, she had started performing at the various event including Berks Youth Theatre Academy productions. Her weekends were mostly occupied with her performances at local festival and events. Taylor’s first effort as a songwriter was at the age of 12, which was also the age when she learned to play the guitar. Every event after this in her life worked as stepping stones for her success. One such big moment came into her life at the age of 14 when her father got transferred to the Nashville, and the family relocated to Tennessee. That’s where it all begins – A ‘Fearless’ ‘Love-Story’. After moving to a new town she continued to follow her passion for music; by keeping herself busy with performances at local events, and working with renowned songwriters like Bratt James and The Warren Brothers. One of the major breakthroughs of her life came in 2005. While performing at Bluebird cafe in Nashville, she caught the attention of Scott Borchetta, the founder of Big Machine Records. Swift was one of his first signings. Her first album “Taylor Swift” got released in 2006, which secured its place at number 5 on Billboard 200; and proved its worth by staying there for straight 157 weeks. Her first song “Tim Mcgraw” was welcomed by the critics and people with open arms. And it went on to sell 39000 copies in its first week of release. Then success blossomed for her with the release of her Album “Fearless” in 2008, which went on to become a chartbuster all over the world. This helped her in grabbing many prestigious awards that year: including CMT music awards for Video of the Year and Female Video of the Year, particularly for her song “Love story”. Throughout Swift’s career, she has earned millions, not just through her music, but also through endorsement deals with brand like Coca Cola. In fact, that particular endorsement deal raked in $26 million for Taylor. As of 2019, Taylor Swift’s net worth is $400 million, and she has worked with famous artists all over the world, such as Ed Sheeran, Beyonce, Rihanna, and Britney Spears. Billboard Music Awards – Top Country Artist (2009, 2013). Billboard Music Awards – Top Artist (2012, 2014). Guinness World Record (2010, 2012, 2014, 2017) including Highest Annual Earnings Ever For A Female Pop Star. At the age when 80% of kids haven’t even figured out their life calling, she was busy in following her passion for music and putting every bit of effort into it, which brought her closer to success. Her every action was in the direction that was destined to bring her the fame and success she always dreamed of. At a very young age, she was working with renowned songwriters and musicians and collaborating with the biggest artists in the music industry. She knew the importance of gelling up with the like-minded people that contributed to her success. Every person we meet has a lesson to teach, and she knows it very well. She has always been one of the controversial queens, be it her personal life or professional life, she has always been an easy target. However, nothing drifted her from her real path. She continued to compose great music that helped her rise up the ladder of success. The path to success is not an easy one. If it had been easy, everybody would have reached the top. But, only a few people make it to the top and she indeed is one of them. Taylor Swift is one of the most successful and popular singers in the world. As of 2019, Taylor Swift’s net worth is estimated to be $400 million. 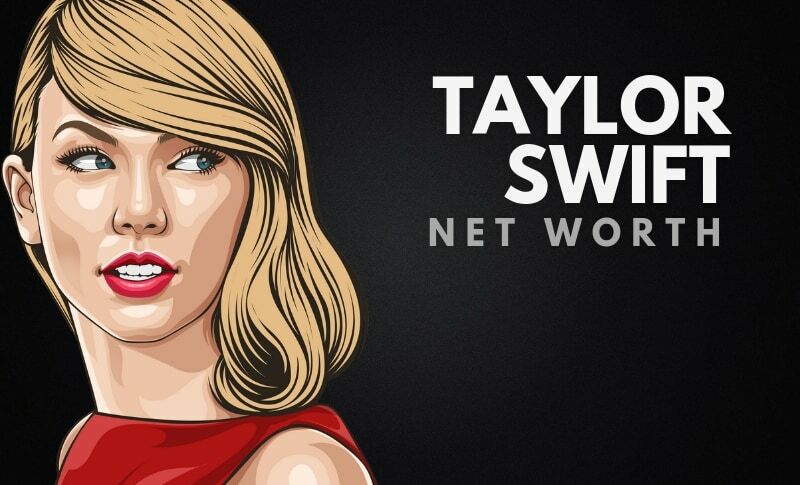 What do you think about Taylor Swift’s net worth? Leave a comment below. Harsh Yadav is a computer engineer turned blogger, who is running a self development blog, which is working towards unwinding the complex wisdom and serve it to you not just in easy to understand way, but also in creative and gripping way. In his meantime he loves to read self-help books and inspirational quotes. His never-ending “self-help” love affair which filled him with so much of positivity and self-belief hasn't yet stopped. Her new album has sold very well. I mean 1 million album sales.